Direct oceanfront South East corner residence. Beautifully finished and furnished with everything you need to live the beach lifestyle. Bright, spacious floor plan opens to the large ocean terrace. Ocean views from most rooms. Master suite with new wood tile flooring, jetted tub, walk in shower, huge walk in closet and access to the ocean terrace. Kitchen with updated appliances, glass backsplash, under mount lighting, solid surface tops, and a beverage cooler. Impact sliders and remote control electronic shutters. Updated AC & hot water heater. Garage parking and storage closet. Well maintained community with NEW: roof, paint, & clubhouse. Hot water is included in HOA fee! 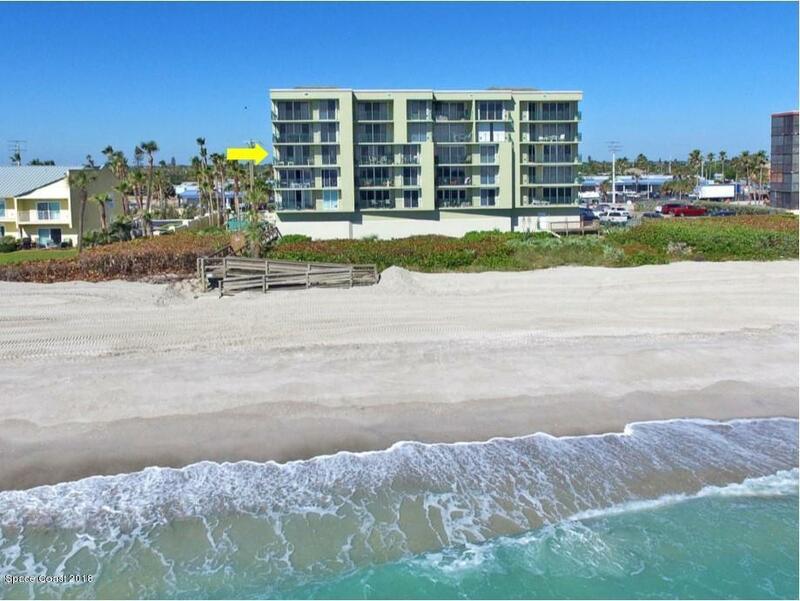 Must see to appreciate the beautiful finishes & views in this oceanfront condominium. Florida living at its best!